Localization Delivers Corkz to Non-English Speaking Markets. Seattle, Washington (Tuesday, October 28th, 2014) – Corkz Wine Info has released a major update of their leading wine application for mobile devices. The popular mobile app has been localized for many established and flourishing wine-drinking regions worldwide, including China and Russia, where there is a growing love affair with the grape. Version 5.05 of Corkz extends the largest and most comprehensive wine database to many non-English speaking users. It promises to help them drink better wine and make more knowledgeable choices when purchasing their next bottle or while choosing a wine at a restaurant. This much-anticipated update also includes instant on-demand translation of the full text of over 4,000,000 tasting notes into the user’s selected language. This opens up the vast repository of wine information on over 1,700,000 bottles of wine stored in Corkz and its data partners, including CellarTracker.com, to many users who were previously unable to access and understand the English-only version of the app and its information. 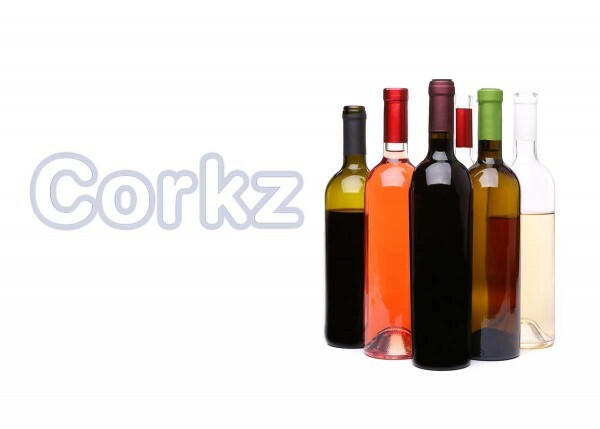 Anyone who speaks Chinese (traditional or simplified), Japanese, Portuguese (traditional or Brazilian dialect), German, French, Spanish, Hebrew, Italian, or Russian will now have the same all-inclusive access to the Corkz portfolio of comprehensive wine information as their English-speaking peers. “We listen carefully to our users and focus exclusively on implementing the new features that they ask us for and on fixing the issues that they tell us about,” said Corkz Founder, Jim Goodman. “Our goal is to provide the most useful wine information to wine lovers everywhere, so we can all discover new wines and wineries, make smarter wine choices, and drink better wines.” Corkz is priced at $1.99 and is available worldwide for iPhone and iPad at the App Store, and for Android via Google Play and the Amazon Appstore. Incredible Database:Corkz brings the power of CellarTracker’s mammoth wine database to the palm of your hand. Browse or search more than 1,000,000 wines and over 2,000,000 reviews. Barcode Scanning:For the tech geek in us all, Corkz scans the UPC/EAN barcodes present on many wines, bringing up the many reviews and tasting notes housed in the mobile app. As more wineries start adding these unique bar codes to their bottles, this feature will become increasingly useful to the consumer. Compare Wines:Corkz is the only Android wine application that provides side-by-side comparisons. Deciding what to buy at the wine shop, or what to order from the wine list has never been so easy. Want to know how the 1997 compares to the 1998? Compare ratings, retail prices, drinking windows, and more — at a glance! Ratings, Notes, and Wish Lists:When you drink a bottle, record a score and your tasting notes. When you happen across a great bottle, add it to your wish list, or email the wine’s information to yourself or to friends. Consumption History:Document and view your previously consumed wines, along with your personal ratings and tasting notes. Never forget a great wine again. Cellar Management:Add new wine to your CellarTracker inventory right from your phone. Browse your current inventory, sorting by rating or drinking window. And when you drink a bottle, Corkz will automatically remove it from your inventory. Social Connection:Twitter and Facebook integration lets your friends know what wine you’re drinking – and what you think about it – in real time. Pricing:Corkz automatically shows pricing data from hundreds of online sources on over 90% of wines users look up. Reference:Definitions and articles for more than 500 common wine terms, including varietals, regions, and fancy wine jargon. Confused about the difference between Climat and Climate? So were we. Now we’re not. Corkz is backed by tremendous customer support, and will continue to add new exciting features to improve the app in response to feedback and user suggestions. The latest information and updates can be followed at the Corkz Facebook page or on Twitter.